& assisting you with our full range of Concierge Services. 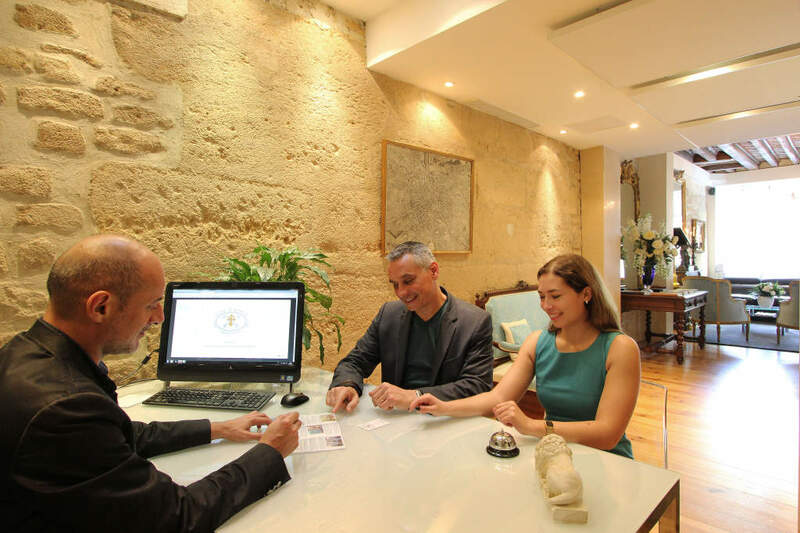 In October 2011, Guest Apartment Services Paris opened a New Office! Our elegant and welcoming lobby lounge is the perfect place to relax after your journey to Paris. Our friendly team will make you feel at home, and ensure you enjoy a magical stay with us. On Ile Saint Louis, 17 Rue St Louis en I'lle St Louis, 75004 Paris. Enjoy our Relaxing & Elegant Lounge area including Free Wifi. Within moments of arriving you will have the keys to your luxury apartment. During your entire stay we offer a highly personalized service, & 24/7 emergency assistance. Since 1997 our passion has been to take care of our guests as we would wish for ourselves.